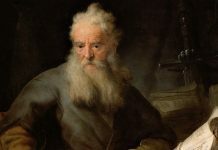 Now, before we look at the next reference we should note that the above reference to Jesus’ brother is, according to the world’s leading Josephus Flavius scholar, Louis Feldman “almost universally acknowledged”, and thus beyond dispute. Here we have a legitimate reference to the historical Jesus and his brother. Now, the other reference we find in the Testimonium Flavium. Scholars have rightfully noted that the reference to Jesus in the text is suspicious since it mentions Jesus in a way that a Jew of the likes of Josephus, who was particularly unsympathetic towards Jesus or early Christianity, would never mention him. It is as if Josephus exalts Jesus more than he should, and the result is that scholars have questioned its authenticity, and thus concluded that it is a Christian interpolation. According to another authoritative Jewish scholar, by the name of Geza Vermes, the reconstructed edition of the Testimonium provides Josephus’ authentic portrayal of Jesus, depicting him as a wise teacher and miracle worker with an enthusiastic group of followers who remained faithful to him after his crucifixion by Pilate, up to the time of Josephus. According to scholar Michael Bird “Authors like Josephus, Pliny the Younger, Suetonius and Tacitus from the late first and early second century wrote about Jesus too… [which] sounds pretty early to me, as least in comparison to other historical figures.” So, what facts can we get about Jesus from these two references? We find that Jesus lived in the first century, that he was an allegedly wise man, that he was a teacher and did startling and unusual deeds, that men believed that he taught the truth, that he gained a following of many Jews and many Greeks, that Pontius Pilate condemned him to the cross, that some were loyal to him and never forsook him, and that from him Christianity branched out and amassed a large following. That’s at least 8 facts, most of which are reported and confirmed within the New Testament. To remain as objective as possible in our pursuit to know about Jesus from extra-Biblical sources I must note that many scholars do not look upon the Talmud as authoritative when trying to study the life of Jesus as they judge it far too late. For example, some scholars like Peter Schäfer think that the Talmud gets its information on Jesus from the Gospels, hence is not independent of them, while others like Paul Maier rejects accounts with no mention of the name Jesus. Maier also discounts those verses that do mention Jesus by name, such as Sanhedrin 43a and 107b, as later medieval changes. However, some scholars do think that information about Jesus can be drawn from the Talmud such as Joseph Klausner, Travers Herford, and Bernhard Pick. Tacitus, along with Josephus, writes about Pilate (the prefect that judged Jesus). However, particularly significant for our cause is that Jesus is mentioned by a hostile and independent source within 100 years of his existence (roughly 80 to 85 years). 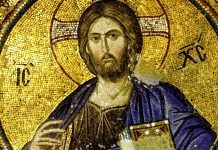 Even though the majority of historians believe that Tacitus provides a unique account of Jesus some do still debate it. 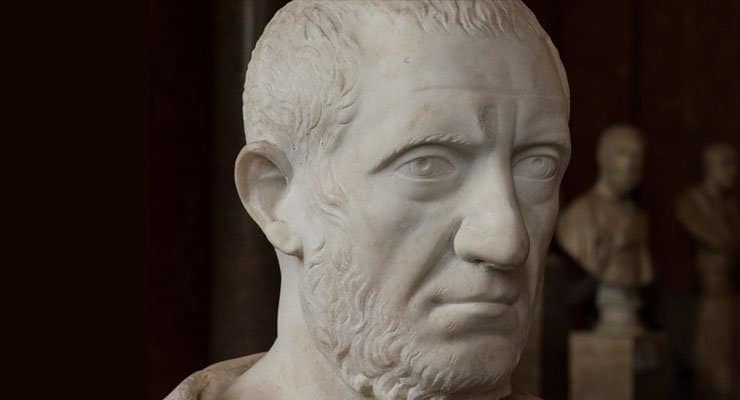 However, what has convinced some of his significance is that Tacitus was a member of the Quindecimviri sacris faciundis, a council of priests whose duty it was to supervise foreign religious cults in Rome. 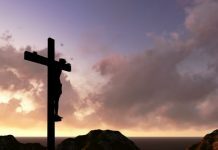 We find that it confirms Jesus’ existence, that Jesus was the founder of Christianity, that there was a Roman called Pilate of whom put Jesus to death, that the Christian religion originated in Judea, and thus later spread to Rome. Thus, from Tacitus alone we can get at least six facts that back up the veracity of the New Testament epistles. According to Professor Robert Van Voorst there is “near-unanimous” agreement among scholars that the use of Chrestus refers to Christ. In hindsight of this, what facts do we get from Seutonius? Remarkably we get corroboration of events described in the New Testament book of Acts 18:2 where Christian Jews were reported to have been expelled from Rome, thus lending some credence to the historical nature of the early Christian New Testament literature. Jesus is also, arguably, referred to by Suetonius although he misspelled his name Christus as Chestus. “What advantage did the Athenians gain from murdering Socrates? Famine and plague came upon them as a punishment for their crime. What advantage did the men of Samos gain from burning Pythagoras? In a moment their land was covered with sand. What advantage did the Jews gain from executing their wise king? According to Robert Van Voorst most scholars date the letter shortly after 73 AD, and he sees little doubt that the reference to the execution of the “king of the Jews” is about the death of Jesus. Bruce Chilton, a scholar of early Christianity and Judaism states that Bar-Serapion reference to the “king of Jews” may be related to the inscription on the cross of Jesus’ crucifixion, as recorded in the Gospel of Mark (15:26). Also, Serapion mentions the “new law” of which might refer to Jesus’ resurrection after his crucifixion, whether Serapion believed in Jesus or not is unknown. We also know that it is more likely that Jesus is being referred to here as opposed to someone else as Serapion specifically states “just after that their kingdom was abolished,” and only Jesus fits into the appropriate timeline as Titus destroyed Jerusalem a some 36 years after Jesus’ death. The other likely figures are argued to have lived approximately 170-250 years prior to the desolation. However, what facts can we glean from this letter? We find that Jesus was Jewish, that he was thought to be a wise king, that he was executed, that he was a teacher, and that his teachings were influencing many after his death. According to Robert Van Voorst the “style matches that of the other letters” in the same book, and the letters “were known already by the time of Tertullian (196-212 AD).” For this reason the genuineness of the passage is accepted. Pliny also informs his reader that Christians were being persecuted for their faith. What facts do we get from this passage? 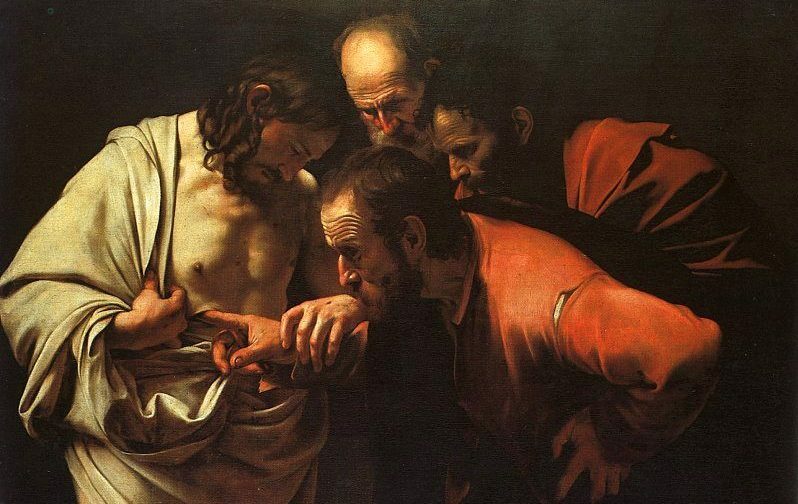 Of particular interest, since scholarship has focuses on it, is the Gospels of Thomas. Clement was martyred in 98 AD for his willingness to spread his belief in Jesus to as many people as possible. The date of his death makes Clement an early source since he would have written his work before his death. This would give him credence as a first-hand account of early Christianity. Although his epistle did not make in into the canonical collection it was still collected by the early church fathers. Clement was, according to Tertullian and Jerome, personally ordained by Jesus’ most intimate disciple Peter of Peter. This, and due to its earliness, is why Clement can be seen as authoritative source for Jesus. 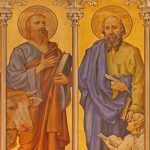 Ignatius was a Bishop of Antioch reported, like Clement, to have been appointed to his position by Peter of whom he was a disciple, as well as also believed to be a disciple of Paul and John. Ignatius was arrested by the Romans and executed as a martyr in the arena around 100 AD. Ignatius, like Clement of Rome, writes extensively on the historical Jesus in Trallians, Smyrneans 1, and Magnesians xi. In his letters he touches on the deity of Jesus (Letter to the Ephesians, ch. 7), the Eucharist (Ignatius to the Ephesians 20:2, Letter to the Smyrnaeans 6:2–7:1), the replacing of the Sabbath with the Lord’s Day (Ignatius to the Magnesians 8:1, 9:1-2, 10:3), and emulates the Apostle Paul by quoting 1 Corinthians 1:19 in a letter to the Ephesians (Letter to the Ephesians 18). It is possible, judging by Theodoret (393 – c. 458 AD), that Ignatius was appointed to the Antioch by Peter, the disciple. Likewise We are also aware that John Chrysostom (349 – 407 AD), the Archbishop of Constantinople, emphasizes the honor bestowed upon Ignatius as he personally received his dedication from the Apostles. One should remain aware that Theodoret & Chrysostom come onto the scene far later, which means that one could question their reliability concerning the link between Peter and Ignatius. Even though his testimony would ultimately lead to his death, Ignatius was adamant about the things he witnessed. 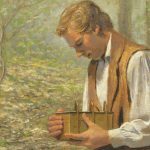 He reinforces early Christian beliefs in the letters he wrote while in prison, and refused to recant his faith in the face of death. There are many other church fathers we could look at. The gospels authors of Luke & Matthew consult a hypothetical (no longer existing) source that predated them, known as Q. 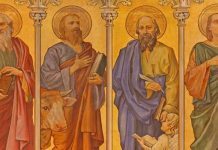 For instance, Matthew and Luke both consult the Gospel of Mark, but via textual criticism we can see that Matthew and Luke also consulted another source alongside Mark, but of which does not exist anymore. Nevertheless, Q gets us closer to the initial events of Jesus’ life at it dates prior to the Gospel of Mark (our earliest Gospel at around 70AD). Some scholars seem to date the document in the 40’s whilst others date it in the 50’s, yet still others seem to suggest that it could be dated within the 30’s based on Q containing six wisdom speeches. 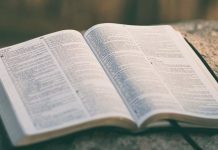 Q, however, provides sound information on Jesus, as Professor James Dunn explains that “Q does show awareness of Jesus’ death.” Q source further provides us with narratives concerning the Devil’s three temptations of Jesus, the Beatitudes, the Lord’s Prayer and many individual sayings. Whatever the case this brings us closer to Jesus’ death around 30 AD. Scholars argue that the author of the Luke consulted an additional source. This content constitutes what is known as L. L is any content within Matthew’s gospel that is not found in Q or Mark. It is therefore believed that in forming his Gospel Luke combined Mark, the Q source, and L.
The reason behind L is that there are narratives only seen in Luke. These include the stories of the prodigal son, and the good Samaritan. L may have included oral traditions, or written sources, or a combination of written & oral sources about Jesus. Like L, M is an additional tradition Matthew’s author used. M is data neither found in Q or Mark. M contains several parables regarding Jesus, namely the parable of the weeds among the wheat, of the treasure, of the pearl, of the net, of the unforgiving servant, of the labourers in the vineyard, of the two sons, and of the ten virgins. Thus Matthew‘s author sourced content from three sources: Mark, Q, and L.
Although it is unlikely, according to Euangelion Markon, that we would be able to “reconstruct it with any kind of precision” we can be confident that it included content on the Last Supper (14:12-6), and the singing of the Hallel Psalms (14:26).. According to exegete Gary Habermas “The creeds “preserve some of the earliest reports concerning Jesus from about AD 30-50.” One creed that Habermas refers is found in 1 Corinthians 15 (v 1-11) that holds a tradition that the Apostle Paul received. This creedal formula is dated to within five years of Jesus’ death thus making it extraordinarily early. 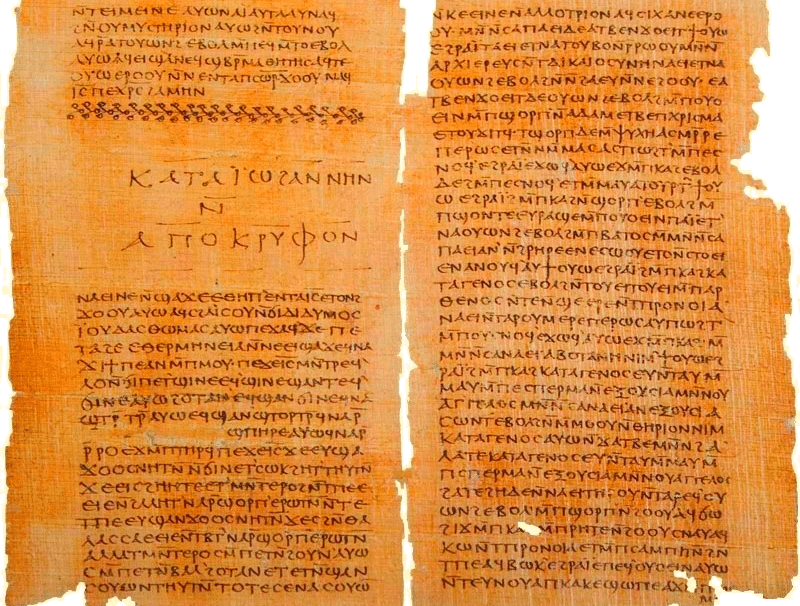 Although his works exist only in fragments, Julius Africanus (160 – 240 AD) argues against Thallus’ explanation of the darkness that occurred during the Passover of Jesus’ crucifixion. Thallus tries to dismiss the darkness as a natural occurrence, as a solar eclipse, but Africanus argues that a solar eclipse cannot occur during a full moon. “On the whole world there pressed a most fearful darkness. The rocks were rent by an earthquake and many places in Judea and other districts were thrown down. This darkness, Thallus, in the third book of his History, calls, as appears to me without reason, an eclipse of the sun. For the Hebrews celebrate the passover on the 14th day according to the moon, and the passion of our Savior falls on the day before the passover. 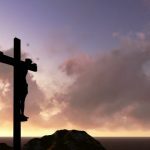 Commentator Jim Wallace tells us that Lucian “did affirm they were real people and never referred to them as fictional characters.” This is an important piece of data since if Jesus really was just a fictional character Lucian would have discovered it, and very likely have used it in his satire. Gary Habermas demonstrates that, from extra-biblical sources alone, Jesus had a brother called James (Josephus), and was located in Palestine (Tacitus, Lucian, Acts of Pilate). Jesus was known to be a wise, virtuous and ethical man (Josephus, Mara Serapion) who was reported to have both performed miracles (Acts of Pilate) and made prophecies that were fulfilled (Phlegon, cf. Josephus). A result of his ministry was that he had many disciples, from both the Jews and the Gentiles (Josephus, Talmud). At the beginning of his ministry he encountered a man called John the Baptist of whom baptized him (Josephus). Jesus was worshiped as a deity (Pliny, Lucian), and some believed he was the Messiah (Josephus) and called him “king” (Mara Serapion). 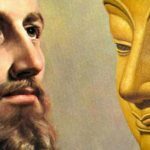 Some people saw Jesus as a philosopher with unique teachings (Lucian, Mara Serapion, Gospel of Thomas). The Jewish leaders judged Jesus as guilty of apostasy (Talmud, cf. Apocryphon of John), and no-one came forward to support Jesus in his trial (Talmud). He died at the hands of Pontius Pilate (Tacitus) who crucified him (Josephus, Talmud, Lucian, Gospel of Truth, Acts of Pilate). The event occurred on Passover Eve (Talmud), he was nailed to a cross (Phlegon, Gospel of Truth, Acts of Pilate, cf. Tacitus), and after his death the executioners gambled over his clothing (Acts of Pilate). There was a three-hour darkness at the moment of the crucifixion (Thallus, Phlegon), and an earthquake (Phlegon), all of which corroborates New Testament events. Jesus’ teachings spread after his death (Tacitus, cf. Suetonius, Pliny), the Christian religion was named after Jesus (Tacitus), Christians formed a section of society (Pliny), and exercised faith in Jesus’ teachings (Lucian). Christians also believed in their own eternal immortality and scorned death (Lucian), and that Jesus’ death procured their salvation (Gospel of Truth). The disciples never abandoned Jesus’ teachings even in persecution (Josephus), and many Christians were exiled from Rome for their beliefs in him (Suetonius). Many were also still present in Rome by the fall of Jerusalem in 70 AD (Tacitus, Suetonius). They were also described as law breakers for meeting in secret, and were blamed for drinking blood, and burning their children (Pliny, cf. Trajan, Hadrian). According to Habermas a few of the forged Gnostic sources are also corroborative of the New Testament literature. They relate that on one occasion that Jesus asked his disciples who they thought he was (Gospel of Thomas), that Jesus was flesh and blood (Gospel of Truth, Treatise on Resurrection), and that he had the title “Son of Man” (Gospel of Thomas). Jesus was also said to be the “Son of God” (Treatise on Resurrection, Gospel of Truth, Gospel of Thomas). Therefore, we can sketch a historical portrait of what earliest Christianity was like. 2. Facts From the Early Church Fathers. 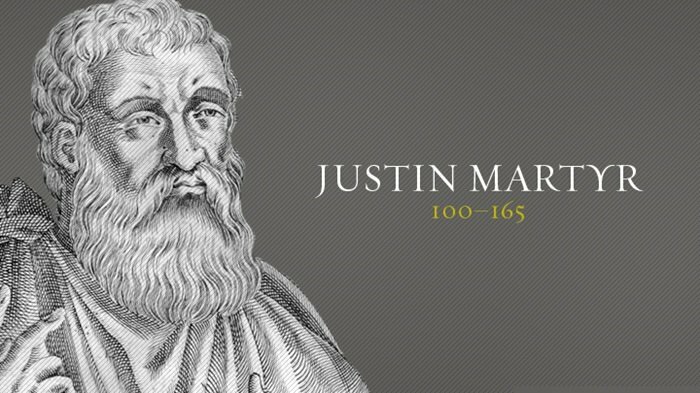 Jesus became a man (Barnabas), was born of Mary (Ignatius) who was herself a virgin (Ignatius, Justin), and that he came from the tribe of Judah (Justin) and was of the lineage of Jesse and David (Justin, Ignatius). Jesus was born in the city of Bethlehem near Jerusalem, and that his birth was recorded and could be verified by the records of Cyrenius, who was the first procurator of Judea (Justin). Jesus was also visited by Arabian Magi who had first seen Herod (Justin). With regard to his public ministry, Jesus was preceded by John and was baptized by him (Ignatius), and chose his apostles (Barnabas, Justin). Jesus performed miracles (Quadratus, Barnabas, Justin martyr). We also find that that some people were healed and others raised from the dead and that some of the eyewitnesses of these occurrences were still alive (Quadratus), and that Pontius Pilate filed a report with the Roman officials that corroborated these details (Justin). Additionally, Jesus both fulfilled Old Testament prophecy, thus in the process validating his claims (Justin), and also made prophecies himself that were later fulfilled (Phlegon) whereby Jesus predicted his own resurrection (Justin). 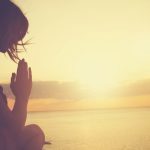 This article was republished from the website of James Bishop with permission from the author. 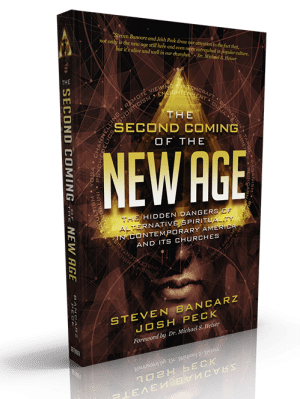 Next articleAmerica After 911: Is Religion Evil?